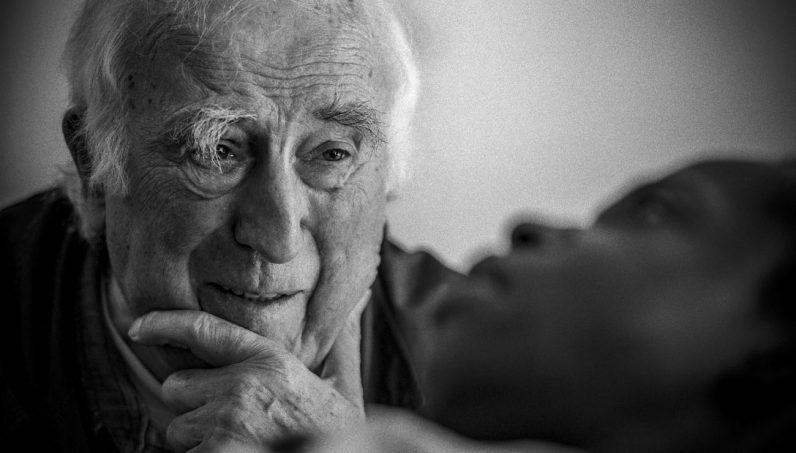 NEW YORK (CNS) — The documentary “Summer in the Forest” (Abramorama) is filmmaker Randall Wright’s gentle, loving portrait of a man with those same qualities, Canadian advocate for the developmentally disabled Jean Vanier. Hard to believe as it may be today, there was a time when the people Vanier has spent more than 50 years serving were referred to as “idiots.” Vanier has succeeded in taking very effective exception to that. In 1964, following his service in the Royal Canadian Navy (his father was a diplomat, army officer and the governor general of Canada from 1959 to 1967), Vanier invited two previously institutionalized men to live with him in Trosly-Breuil, France. From this arrangement, L’Arche (meaning “the Ark”) was born. It grew to become a place where the developmentally challenged and those who care for them dwell together in community. “Summer in the Forest” takes a long, affectionate look at the blessing L’Arche has been in the lives of many. Through the stories of five residents, Michel, Andre, Patrick, David and Sara, the film makes an important spiritual point about the true nature of happiness. Real fulfillment, it suggests, is not to be found in money or power, but in relationships built on love, respect, humor and human dignity. Michel is in his 70s and suffers from memories of war. David loves cowboy movies and regards himself as the sheriff of the community. Patrick and Celine met at L’Arche and fell in love. Sara, a resident of L’Arche in Bethlehem, blossoms under the care shown to her in a community made up of Muslims, Christians and Jews. L’Arche’s approach is simple: Uphold the dignity of every human person, treat all with love and respect, and help them in whatever way is necessary. This philosophy drives the 88-year-old Vanier, as it has for decades, and the success of L’Arche has seen it spread to include 147 communities in 37 countries. While the film is a moving tribute, it has significant shortcomings. Thus, even though Vanier’s voice-overs tell of his wisdom, Wright fails to interview even a single caregiver to discover what motivates them in their service. He also all but ignores Vanier’s status as an internationally known Catholic philosopher and prolific spiritual author whose work with L’Arche springs directly from his deep faith. L’Arche was established to be a network of small faith communities with a lifestyle based on the teachings of Jesus — although its residences are open to people of every faith or none. Together with physical life, home, work and friendship, Vanier believes that a spiritual life also is a basic right for everyone. Despite its flaws, “Summer in the Forest” provides inspiration and a glimpse of what our world could be like if we all practiced just a little more compassion and treated everyone with the consideration they deserve. The movie will have only limited distribution. To see where it’s scheduled to screen, go to www.summerintheforest.com. The website also has information on how to bring “Summer in the Forest” to churches or schools. The film contains one crude term. The Catholic News Service classification is A-II — adults and adolescents. Not rated by the Motion Picture Association of America. Sister Rupprecht, a Daughter of St. Paul, is a guest reviewer for Catholic News Service.